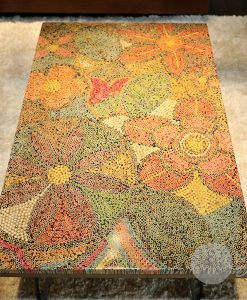 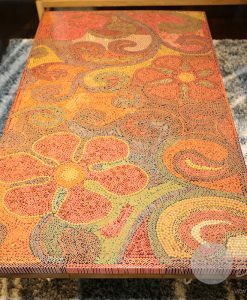 Delicately combined wood and colored pencils, Sleeping Peony Colored-Pencil Coffee Table is the most special artistic work among the colored-pencil tables of Nguyen Moc Décor. 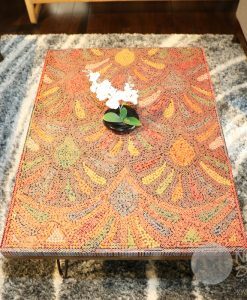 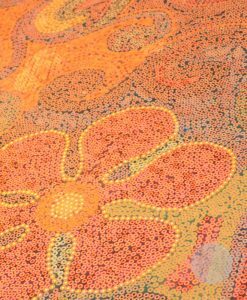 Inspired by the Queen of flowers, Sleeping Peony Colored-Pencil Coffee Table is truly the ideal choice for your cozy space in your home or even your workplace. 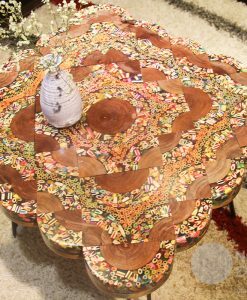 With the elegant design by the harmonious combination of the colored pencils and the brown of wood, Sleeping Peony Colored-Pencil Coffee Table is modestly brilliant like a noble peony which is deeply sleeping in the warm arms of the land. 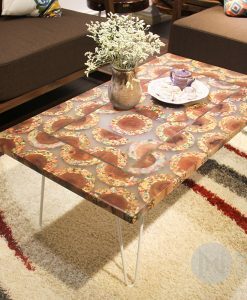 The table is extremely suitable for a small-to-medium room with “acoustic” style where you can feel the real home after a hard-working day. 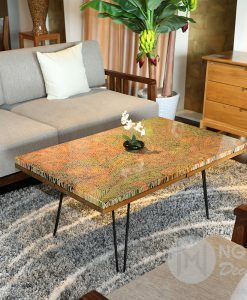 Moreover, you do not need to make a lot of efforts to find what kind of flower or what color of vase suitable with Sleeping Peony Colored-Pencil Coffee Table, just simply let it free or put a rustic vase of dried flower; it will be the greatest decoration. 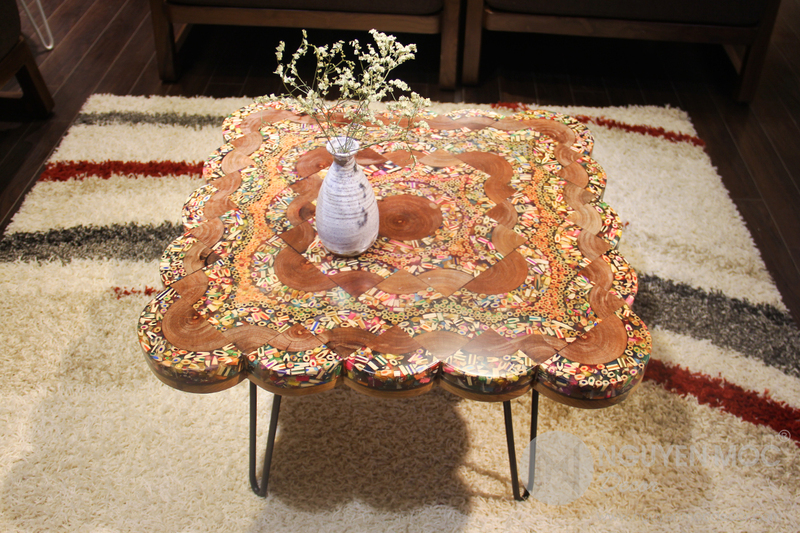 Are you ready to warm-up your living space with Sleeping Peony Colored-Pencil Coffee Table? 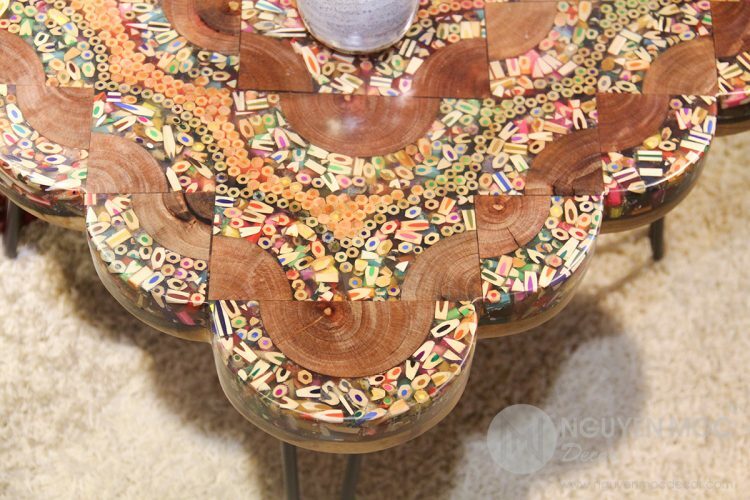 Let’s tell Nguyen Moc Décor! 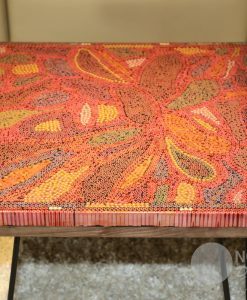 Sleeping Peony Colored-Pencil Coffee Table is steadily erected by 4 hairpin legs, which helps save space for your little room. 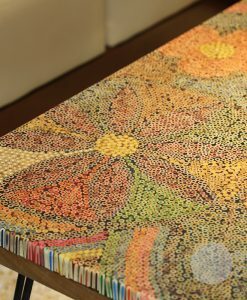 Sleeping Peony Colored-Pencil Coffee Table – the perfectly dedicate combination of wooden and colored-pencil arts. 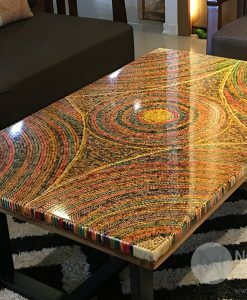 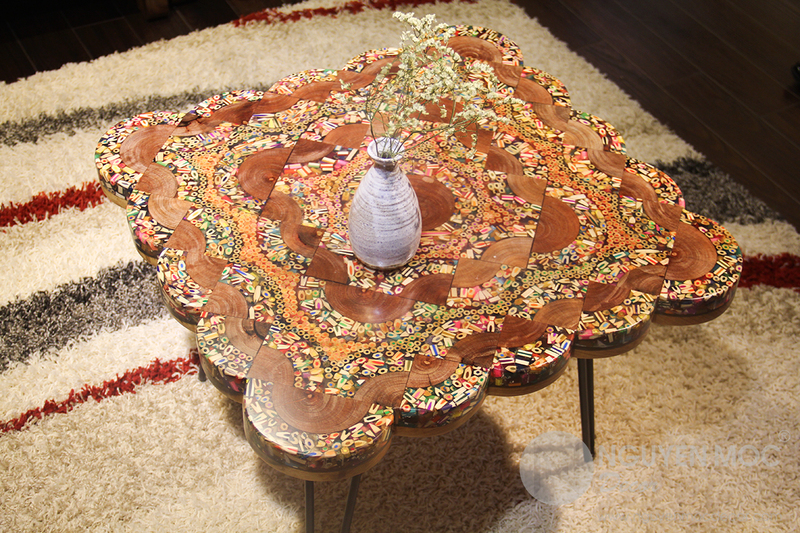 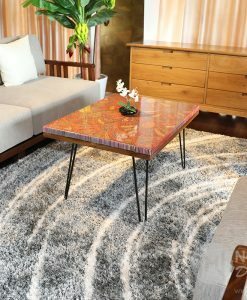 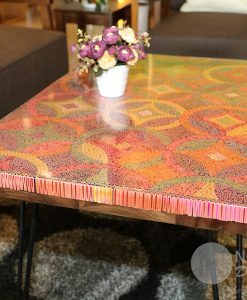 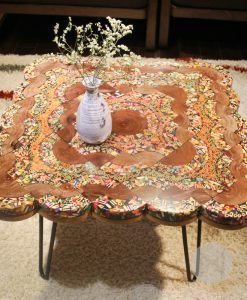 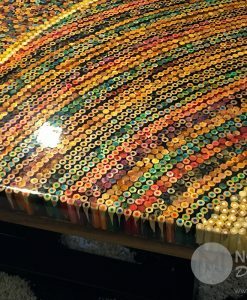 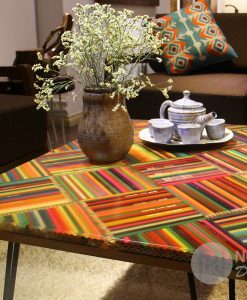 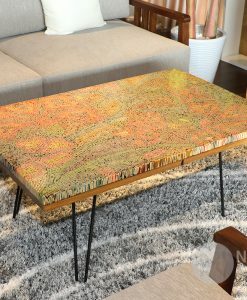 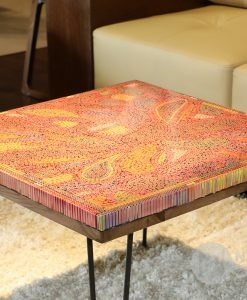 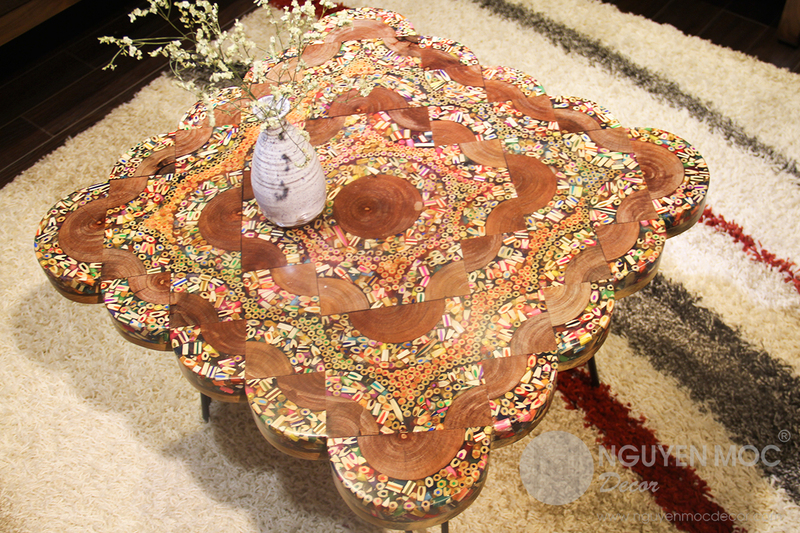 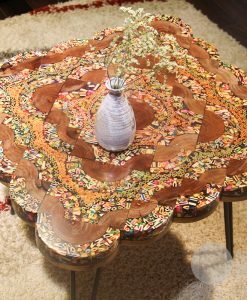 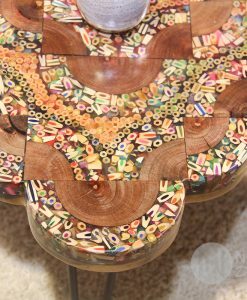 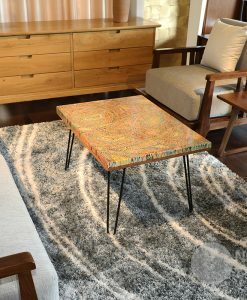 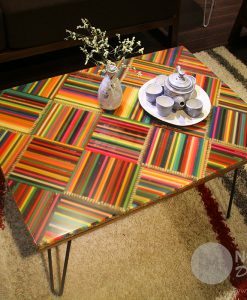 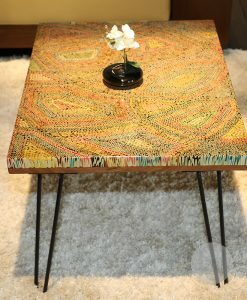 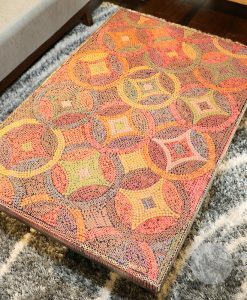 Being dumped by resin epoxy, the surface of Sleeping Peony Colored-Pencil Coffee Table is extremely smooth and mounted with the wood. 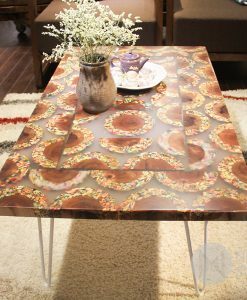 With a vase of dried flower, Sleeping Peony Colored-Pencil Coffee Table seems to deliver a rustic but luxurious beauty better.